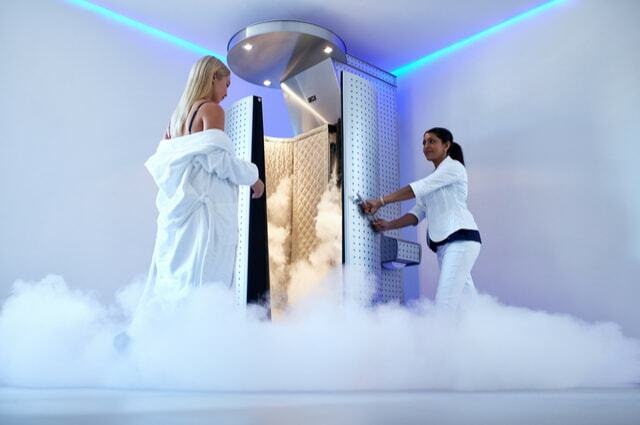 The rise of cryotherapy in the beauty industry. The modern world has adopted the use of cryotherapy as a beauty improvement and maintainer. When its name comes to mind, one should see a revolved treatment option for various body problems. Its concept derives merely it working as a cold cure mechanism. Cryotherapy is a treatment method which involves exposure of the body to extremely low temperatures of less than 160 degrees with the aim to stimulate the oxygenation, circulation, skin nourishment as well as the sustenance of the sub dermic tissue. The demand for the treatment has risen in recent years in Europe and North America regions. However, the practices related to the treatment usage dates many years back in ancient Egypt and Greek. The practice became popular in 1970 after re-emerging from Japan as arthritis treatment for pain relive purposes. It has gone under various improvement to date making it applicable in many ways of treatment, including inflammation, controls, muscle pain injury healing and an anti-ageing treatment. The treatment works by activating a fight or flight response for surviving that makes blood to leave the irrelevant extremities. In the process, the body is subjected to direct cold surface which in turn makes it react by having a flow of blood to the core. The action leads to the release of endorphins and anti-inflammatory molecules. The working of this treatment depends on the form it’s administered. Some of these forms include direct use, coldness application to the affected body parts and whole body therapy as a method of the cold sauna. The effects of its usage vary; for instance, the entire body Cryotherapy has higher Impact on the body whereby it influences the nervous, circulatory and energy systems. The Cryofacial Method – The technique applies nitrogen vapour in a pressurised form at 160degrees. The vapour is used to face and neck area to enable collagen production. In return, it also reduces the pore sizes. Secondly, there is Cryo-shaping, which is a treatment that combines physiotherapeutic and beautifying treatments. It aims at improving the skin and body size by dissolving and eradicating the fats from the body. Cryotherapy for hair is another form of treatment that aims at improving hair growth conditions. The method activates its dormant follicles as well as reducing scalp by limiting production of fats. The whole body Cryotherapy is a form that involves complete body cooling using ice cubes or exposing the body to the low-temperature vapour of about -300 to -200 degrees for a few minutes. It also includes the cellulite reduction, a method that enables activation of blood flow in an area subjected to the treatment. That action turns white fats to burn and produce heat in the body. The treatment ensures quick recovery from surgical operations due to the ability to relieve pain. For skin related cases, its normality and healing is achieved at a faster rate. It acts as an effective treatment for dermatitis and psoriasis due to its pain reduction ability as well as enables healing through the boosted immune system. It raises the body’s ability to renew the cells: the renewal improves the skin appearance. It offers anti-ageing mechanisms through production of collagen leading to reduction of wrinkles, which in return leads to a firmer skin. Improved circulation of the blood and the ability to drain the toxins through natural means from the body leads to minimising and elimination of acne and pimples. The treatment, especially Cryo-shaping and cellulite reduction are effective in lowering weight by boosting burning of calories and fat removal through the skin as well as the general well-being of the body. Cryotherapy for hair not only boosts the hair growth but also works efficiently in eliminating problems such as dandruff and scalps. The hair eventually becomes shiny and looks well nurtured. The Cryotherapy is useful in managing inflammation that would otherwise affect the body seem beautiful. The ability of Cryotherapy to provide treatments that are targeting the improvement of skin has made its demand to rise. With anti-ageing effects, the adoption of the procedure continues to grow in the beauty industry.